What's the difference between optical zoom and digital zoom? Do more megapixels equate to better photo quality? Why is there a delay after I push the shutter release button before I can take another picture? If you?ve ever asked a question concerning digital photography and wished you had a helpful resource to provide you with clear, reliable answers, then look no further. With nearly four decades of photo experience under his belt, author Jeff Wignall responds to 365 of the most common digital photography questions with informative, practical replies. The full-color format helps you see what he's talking about. 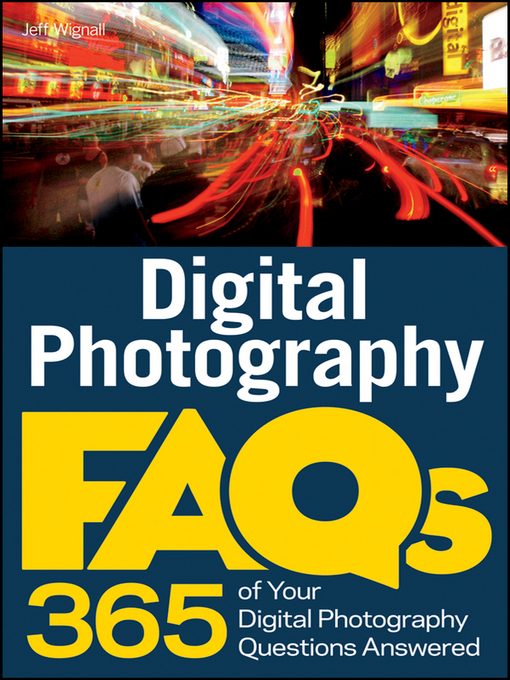 Digital Photography FAQz is a well-organized guide, featuring answers to questions that you haven?t even thought of yet!